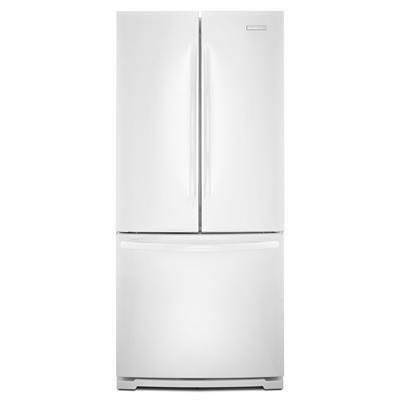 KitchenAid standard-depth 30" french door refrigerator. 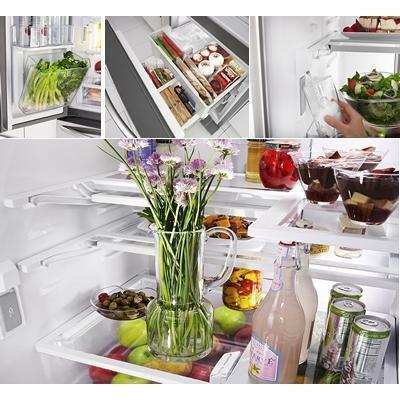 If your kitchen is smaller than your culinary passion, this 30-inch refrigerator may be just the answer. French doors offer a stylish option in kitchens that can typically only accept a top-freezer refrigerator. Thoughtful features let you organize the interior for your most ambitious creations. Slide-away shelves allow room for items such as tall carafes and finished desserts. 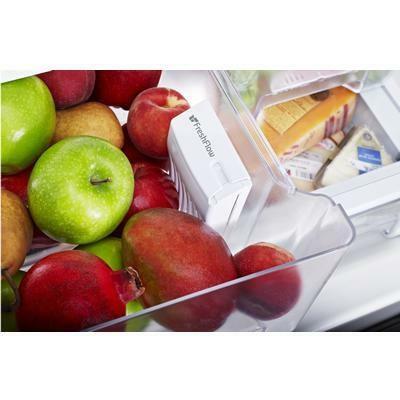 And the FreshVue™ Door Bin is a convenient, accessible addition that lets you keep fresh produce and other healthy snacks right inside the refrigerator door. Refrigerator 13.30 cu. ft. / 0.38 cu. m.
Technologies Large humidity-controlled crisper with FreshFlow™ produce preserver; FreshFlow™ air filter; Filtration system – filtered by PUR®; FreshChill™ temperature management system; ClearVue™ LED theater lighting; FreshVue™ Door Bin; Slide-away full-width SpillClean™ glass shelf; Slide-away split SpillClean™ glass shelf; 4 Adjustable ClearVue™ door bins; Whisper Quiet® compressor system. Additional Information Freezer has a solid upper basket with removable ice bin and a solid lower basket with fixed dividers; Up-front electronic controls; Hidden hinges; Foam-in-place insulation; Humidity-controlled mini crisper. Dispenser Features Cubed ice and chilled water. Additional Dimensions Depth with door open 90 degree: 133.35"; Depth with handles: 87.9". Warranty 1 Year. Sixth through tenth year limited warranty on sealed refrigeration system.